You can change the order for individual artists by setting the zorder. 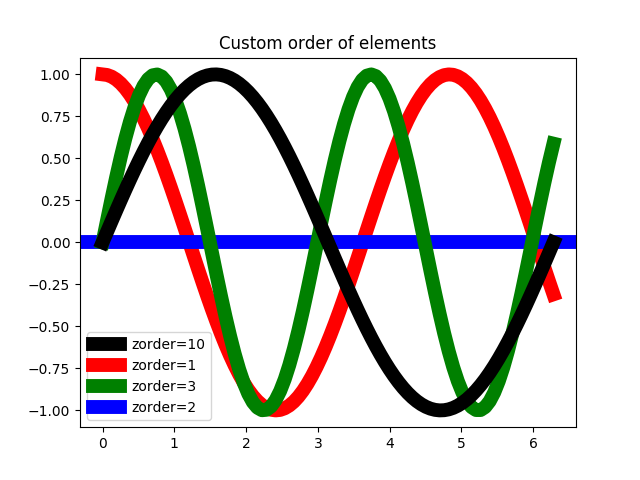 Any individual plot() call can set a value for the zorder of that particular item. In the fist subplot below, the lines are drawn above the patch collection from the scatter, which is the default. In the subplot below, the order is reversed. 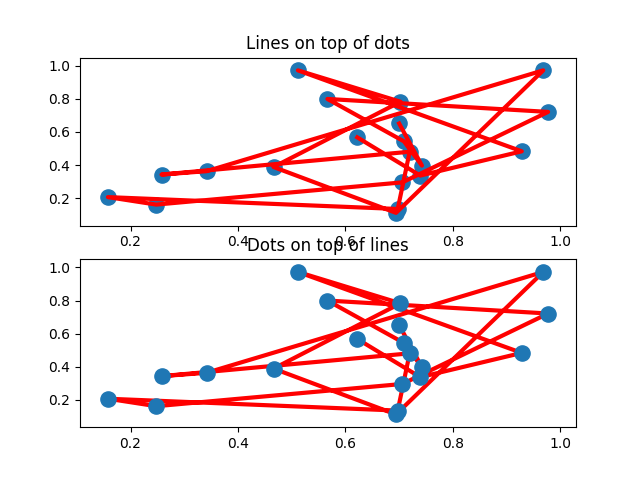 The second figure shows how to control the zorder of individual lines.